Trying to understand how modern licensing systems works might seem a bit overwhelming. But there is a simple solution – Creative Commons. Let’s learn together how to use content without getting in trouble and what CC is all about. 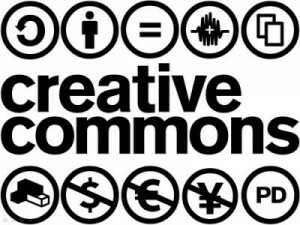 Before we start, let’s learn more about what Creative Commons are in fact. CC – is a set of licenses that were created to allow a better way to share and distribute original content. By default, every piece of original content is protected by law and all rights are reserved by the author. Therefore, when someone wants to use that piece of content, they have to seek personal permission by the author to use it. To avoid all the trouble and give the author the way to “automatically” allow usage or waive all authors rights CC developed clear licenses. CC0 Public Domain – content under this license is copyright-free (also known as No Rights Reserved or royalty-free). For this kind of images, there is no need to contact the author as these are free to use. CC BY – this license type gives us the right to use, modify and distribute the picture and even commercial use for as long as the author and copyright is clearly stated (i.e. : Photo by Mincho; CC BY). Let’s take a look at the ways we can accredit pictures with various kinds of CC license. Let it be CC0 in this particular case. 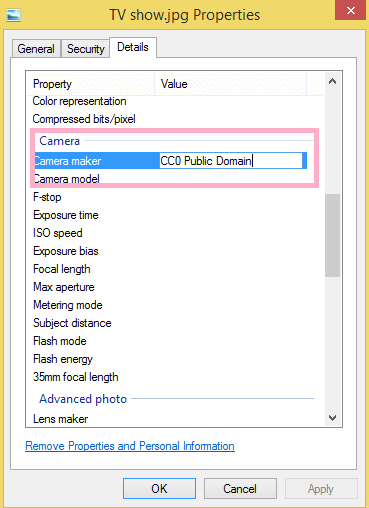 When you get the photo you want add a license to, go to file’s Properties -> Details tab and scroll down to the Camera Maker field. Here, type CC0 Public Domain to make it easy to understand why there is no accreditation in the image’s caption. Alternatively, you can state your license in the caption. Simply put a short phrase with the title of the license of your choice. Here is an example for licensing photos on social media in posts and albums. Wiki is one of the best sources of photos and images as licensing is always clearly stated and any actions required by authors are explained. For example, let’s say you need a photo of a sheep. 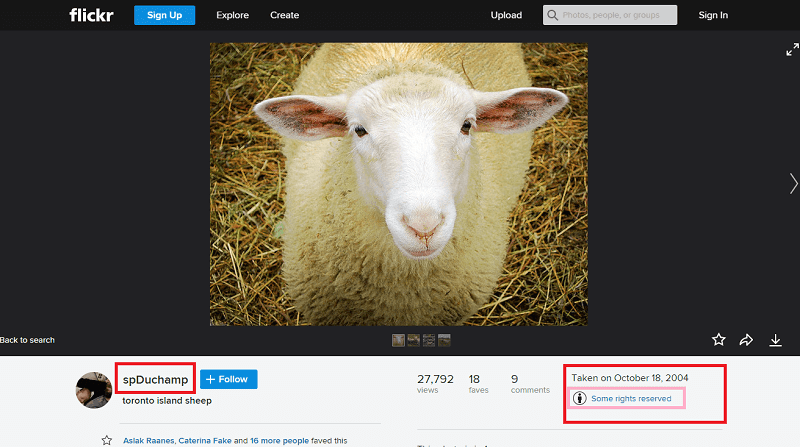 You can start with searching for sheep in Wikipedia internal search and find a photo that you like. After clicking on the photo, go to More Details. This site is a photo bank with a quite large portion of photos distributed under CC0 Public Domain license. It even allows to choose the size of a picture and nicely explains licensing conditions. Let’s perform the same search here and choose the photo we like. Each picture has a clearly described conditions and sizes for us to choose from. Note that some of the photos are watermarked by Shutterstock – these are ads and promoted results that invite you to buy photos from their partner – ShutterStock. Even though Flickr is a photo social network it still is a great source as it follows CC licensing structure as well. There is a common issue, however. Sometimes, even when you use “Commercial Use” filter, some photos turn out to be All Rights Reserved and you learn about it only after you open them. Here is how the same search would look like on Flickr. And there is the wolf in sheep's clothing – this photo is actually protected by it still appeared in the filtered search results. How to find out if a photo is All Rights Reserved or on a free license? First of all, you should remember about the rule of thumb in the question of content licensing – if you are unsure whether the rights are reserved or not, consider them reserved. The truth is there is no an easy way to find authors and be 100% sure about the rights and licensing of a particular photo. 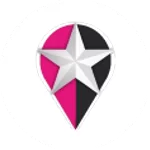 There are some tools like Google Image Search and TinEye that try to perform reverse image search and identify the real author but they can’t give a full guarantee. And in the end you just have to check the results manually with fingers crossed to find any confirmation at all. That is all for today and for our ultimate guide on creative commons licenses and royalty-free photos.